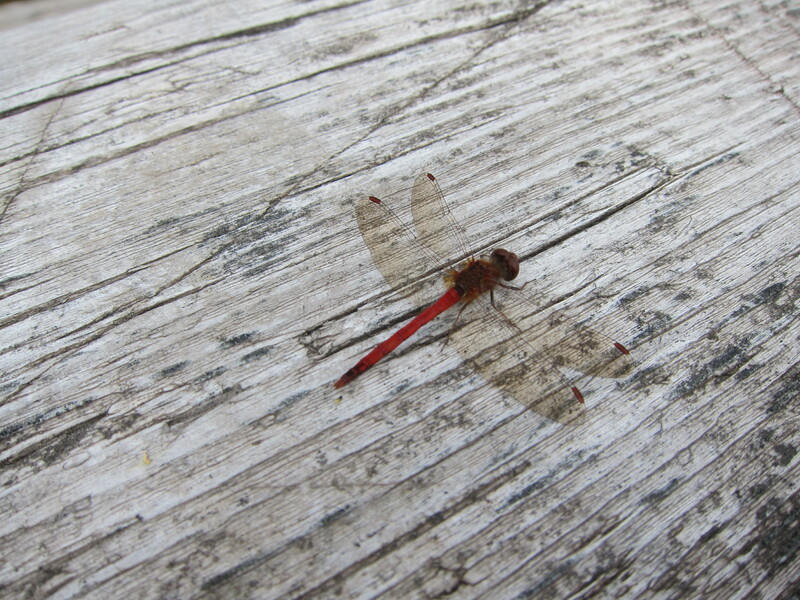 Posted on November 7, 2015 by Peady •	This entry was posted in Environment, Family, Fitness, Happiness, Life, NaBloPoMo, Parenthood, Photography, Sundays, Writing and tagged #PeadyPowers, Annual Thanksgiving Nature Walk, be still, close up, Daddy-O, Dragonfly, dragonfly wings, I'm ready for my close up, insects, Mapleton Park, Moncton, natural beauty, nature, nature is everywhere, NB, not zoomed, Peady Powers, Photo, point and shoot, steady hands, Thanksgiving, Things, walking in the woods, wings. Bookmark the permalink. ← The One Where I Run Out Of Time And Am Simply Too Tired To Worry Much About It! I couldn’t see it at first because I was not familiar with his stain glass art, but after visiting some webpages of Wright’s work I can totally see it. *When I first read your description, I pictured the dragon fly as actually a little flying building that had for its eyes, red rectangular stained glass windows set in a bay window. You are amazing! Thanks for the link. 🙂 Now other people can know what the heck I was talking about – if they didn’t already. Thank you. We had a lot of cool insects around us that day. My phone freaked out. Sorry. I was trying to say that your photo is awesome! Thank you! You do? Cool!